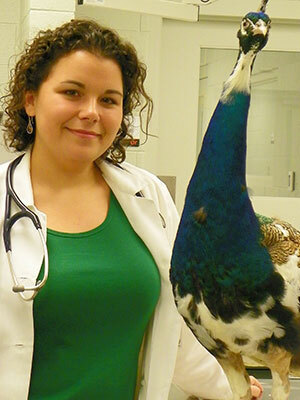 Vanessa Grunkemeyer is an ABVP certified avian specialist who graduated with distinction from the Cornell University College of Veterinary Medicine in 2007. She completed a small animal rotating internship and an avian and exotic animal residency at the University of Tennessee CVM and has previously practiced at the North Carolina State University CVM. Dr. Grunkemeyer is currently part of the Animal Science faculty at the University of New Hampshire. Her primary clinical and academic interests include wound management in exotic animals, the care and medicine of backyard poultry, and collaborative teaching and learning strategies. Outside of work, she enjoys photography, gardening, and exploring the outdoors with her beagle/Boston terrier mix named Bird. Whether you are acquiring radiographs to plan for orthopedic surgery or to further investigate an intracelomic mass, it is important to employ proper radiographic technique to maximize the diagnostic potential of the images. This presentation will include a review of proper positioning for avian radiographs and a discussion of imaging techniques. Basic radiographic interpretation for commonly seen avian species and frequent disease presentations will also be presented.